On Your Marks, Get Set, Serve! 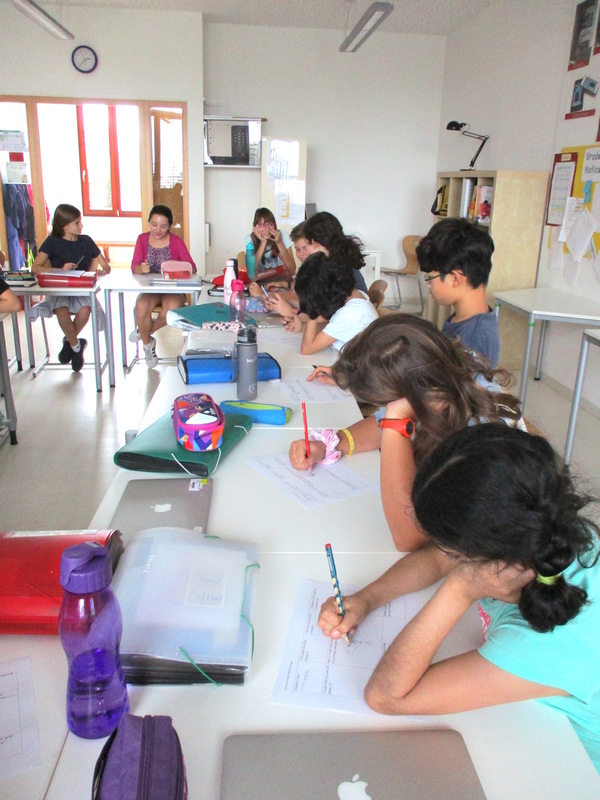 Grade 6 were the first of the MYP classes to be introduced to Service as Action (SA) this school year. SA is part of the curriculum for all MYP students as stipulated by the IB. It is a fantastic opportunity for our students to be involved in making positive change for others. 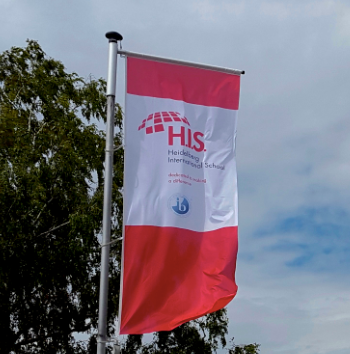 At H.I.S., SA can form part of a unit of learning. 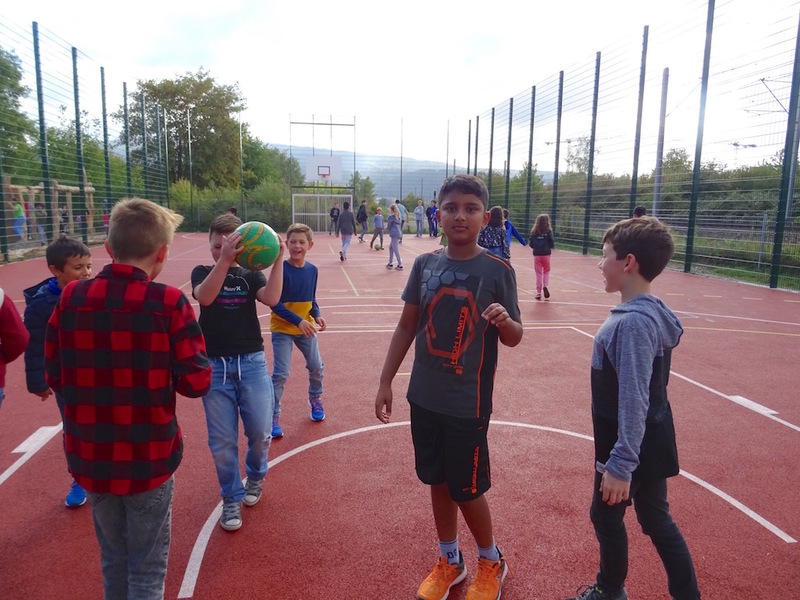 It is also a part of the Homeroom Programme, and each class will be supported by their Homeroom teacher to complete at least one Service activity during the school year, either as a class or in small groups. In these introductory sessions, students focus on the who, what, where, when, but most importantly, the why of Service based learning. 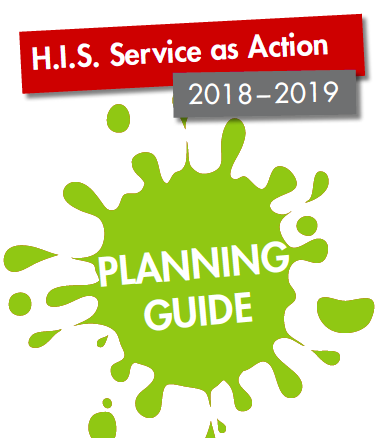 Over the next few weeks, the rest of the MYP will also hear about the key aspects as well as become familiar with the seven learning outcomes for service. 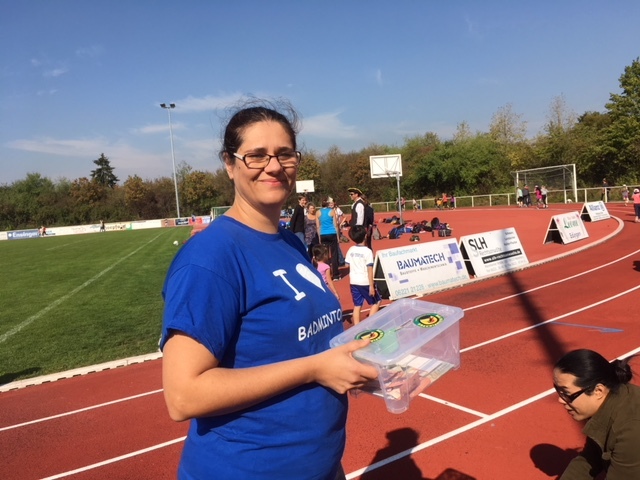 The Waldpiraten Run will be the first chance for students to get involved in an action to support a local charity, and Grade 6 students were asked to set themselves targets as well as identify the learning outcomes they hope to achieve. For the non-runners, “undertaking new challenges” was identified as a likely outcome. 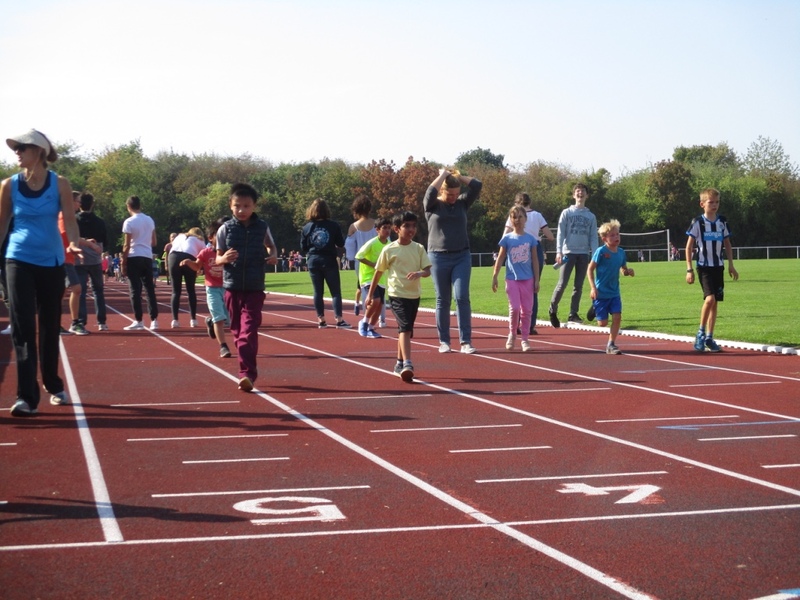 For those setting goals to run more than 20 laps, “persevering in action” will be a necessary skill. Over the school year, we look forward to celebrating student successes in the area of service and seeing the many great causes and communities we can support. Comments (0) | | Categories: In The Classroom, Making A Difference, We are IB Learners! 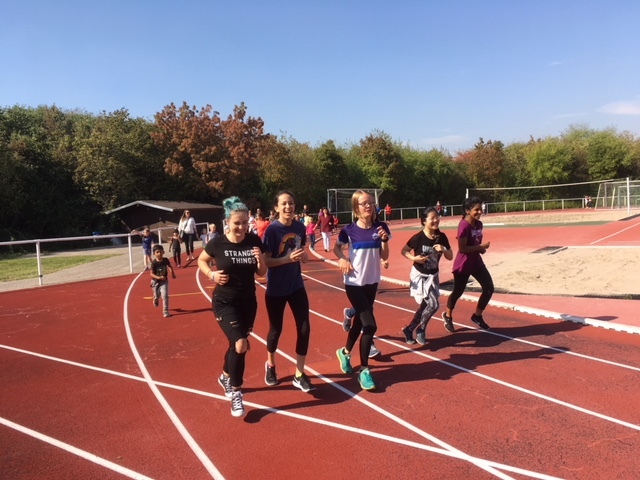 Students, staff and parents ran and walked to support the Waldpiraten Camp https://www.kinderkrebsstiftung.de/nachsorge/waldpiraten-camp.html on Friday last week. 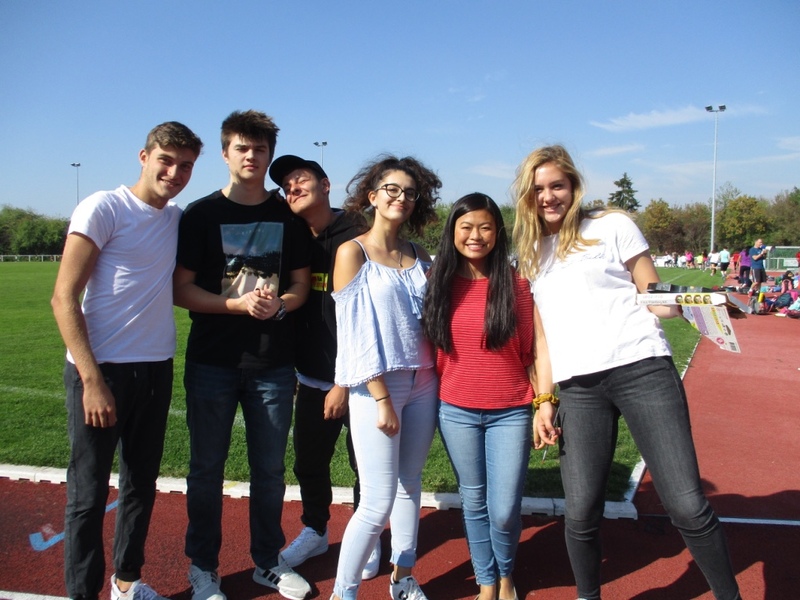 The annual charity run is a fun event and we are very grateful for the effort all supporters put into organising the event, special thanks to Grade 11 students. Congratulations to all participants for the fantastic effort. 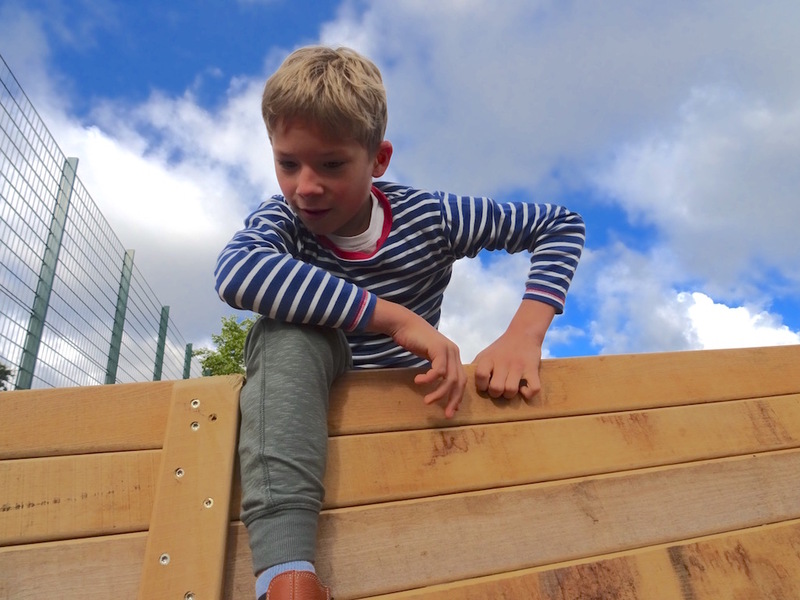 Watch a little clip on our Facebook page to see more photos of the run! What a sensational day Grade 1 had last Friday! We went to the Heimatmuseum in Seckenheim; it was our first Field Trip and it was fabulous. 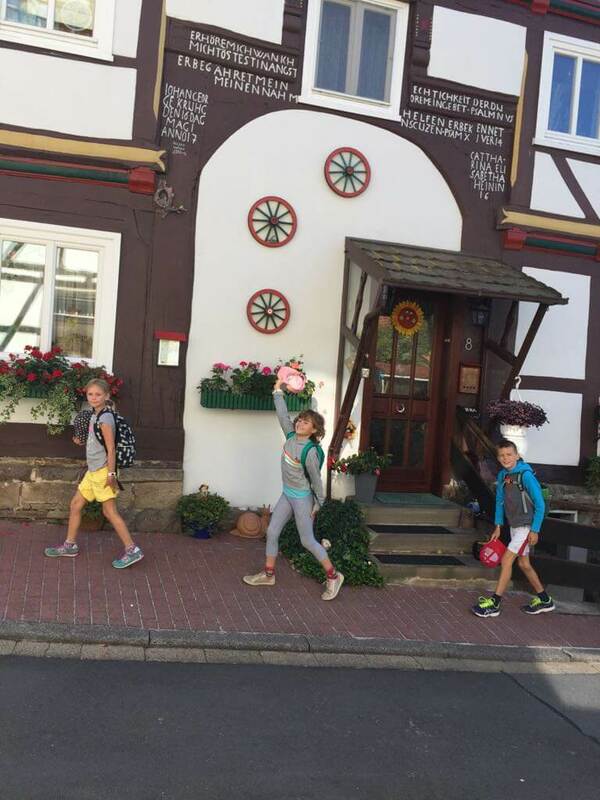 We took the tram from the school and we walked a little until we stepped into an old house. 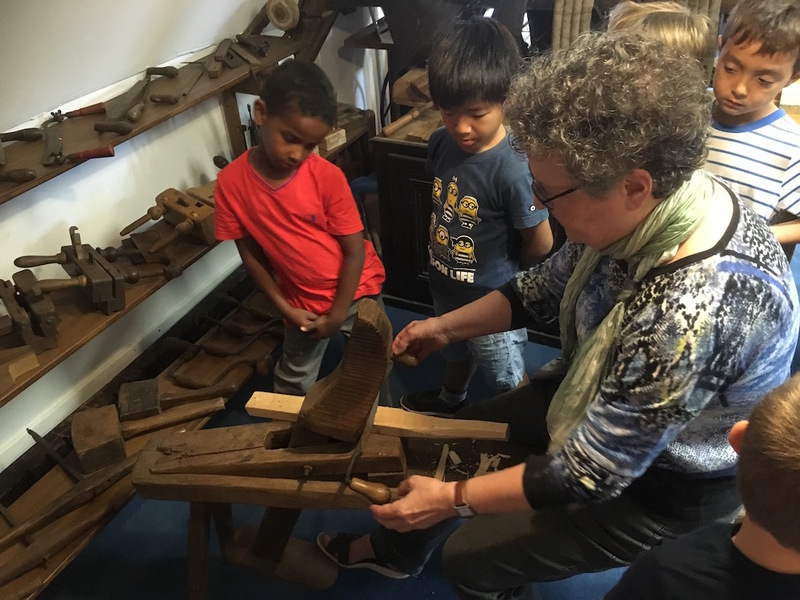 It was filled with lots of old tools, which we had never seen before. We had to guess what those had been used for. But luckily our guides were very helpful and prompt to answer to all our questions (which were a lot). During our tour we stopped in a big room. Prepared for us with tablecloths and drinks for a snack. 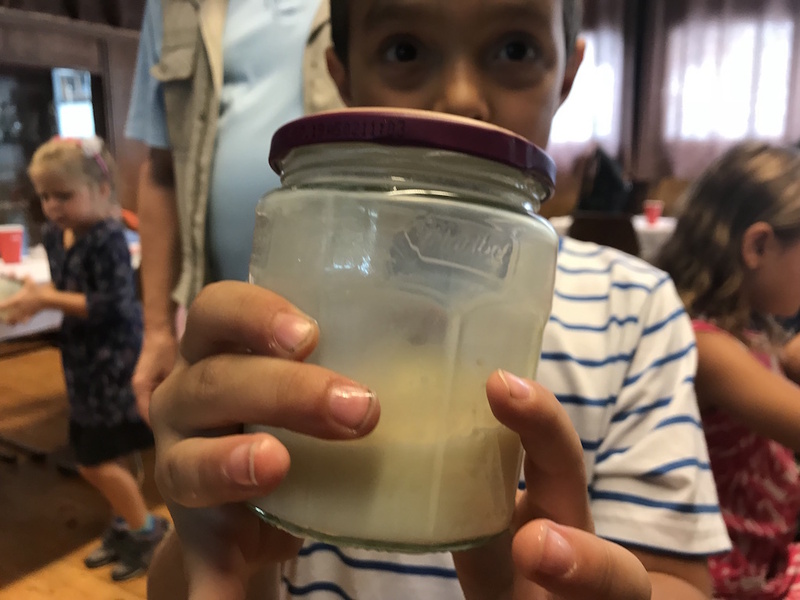 Furthermore, it was wonderful having the chance to make our own butter directly from fresh cream, really like in the past. Then we had to cut the vegetables and spread the butter on bread and ate it. It was so yummy! 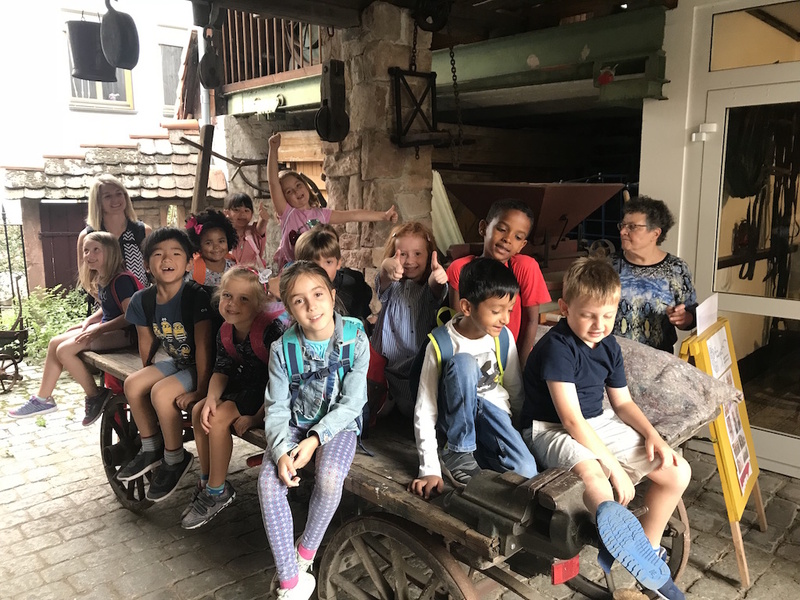 We took a picture of the whole class sitting on an old cart. It was so good to go there, and now we want to return even with our families! 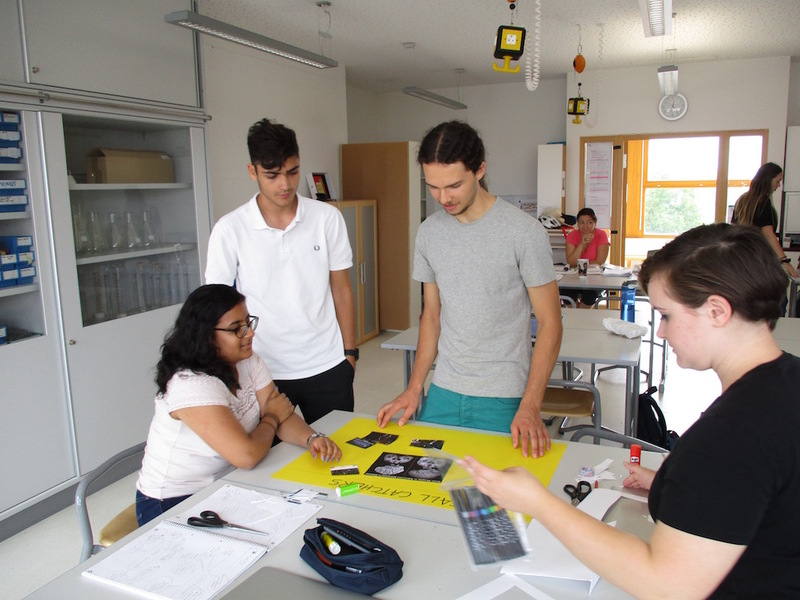 The Group 4 project is a compulsory component of the Diploma Programme and a collaborative activity where students from different group 4 subjects, (Biology, Chemistry, Computer Science and Physics) work together on a scientific or technological topic. Concepts and perceptions from across the disciplines are shared with the aim to encourage an understanding of the relationships between scientific disciplines and the overarching nature of the scientific method. 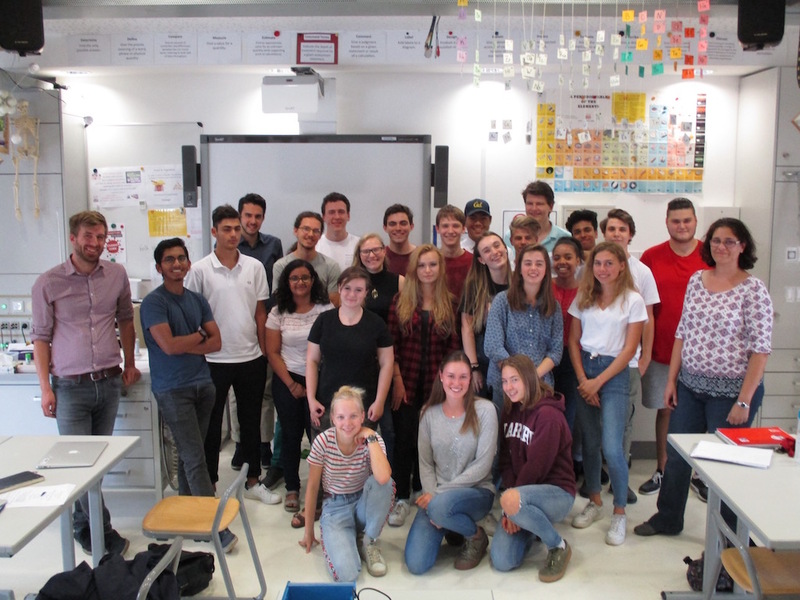 Collaboration between schools in different regions is encouraged and this year we had 2 biology students from Phorms school in Munich joining our group. 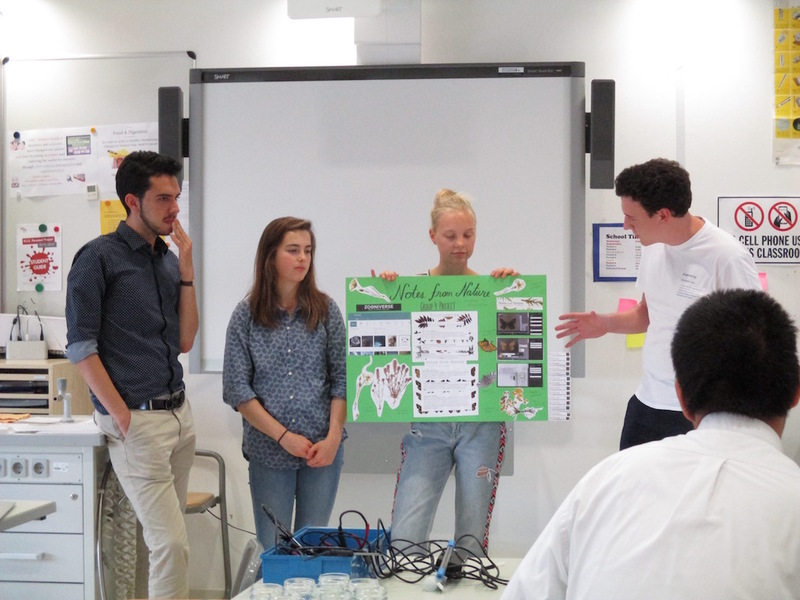 The theme this year was Citizen Science – Grade 12 students took part in a variety of projects which are described. Students were split into 6 groups of 4 students and each group took on a different citizen science project. 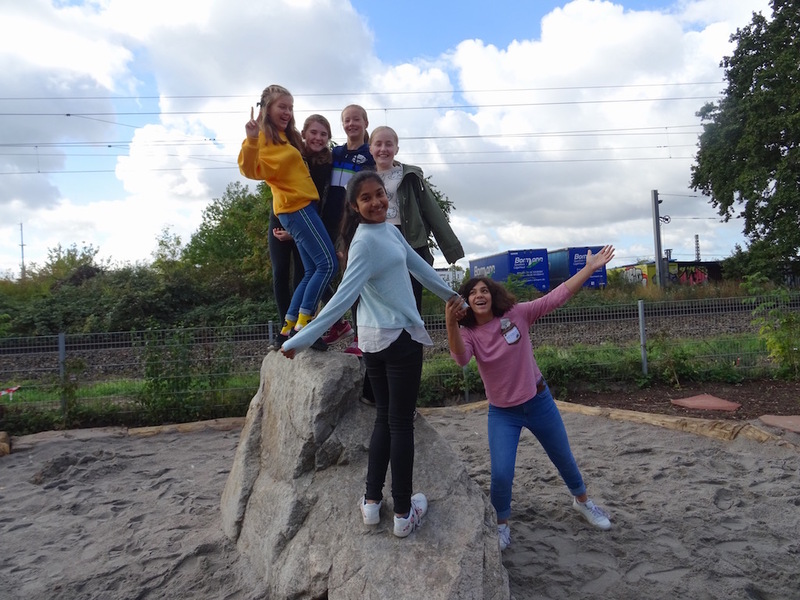 Their aim was to take part in the project and then produce a poster about the project they took part in with the aim of increasing awareness of citizen science in the local school community and ultimately that everyone can be a scientist! Initially, before the group 4 project begun, I honestly anticipated myself hating every minute of it. Considering we are grade 12, I thought we had far too much work to “waste” an entire Friday afternoon on something that “bears no significance to our learning”, or so I thought. Once the group 4 project started, I realised very quickly how important Citizen Sciences are in our world. The scientific understandings of many different subjects practically depends on Citizen Sciences. Naturally, we decided to take part in one! Our group picked bird watching, something which I have not ever done or have any understanding of. We went down to the river and spotted 57 birds across 17 species! Best of all, I actually enjoyed the entire process and got to learn a lot during the group 4 project. 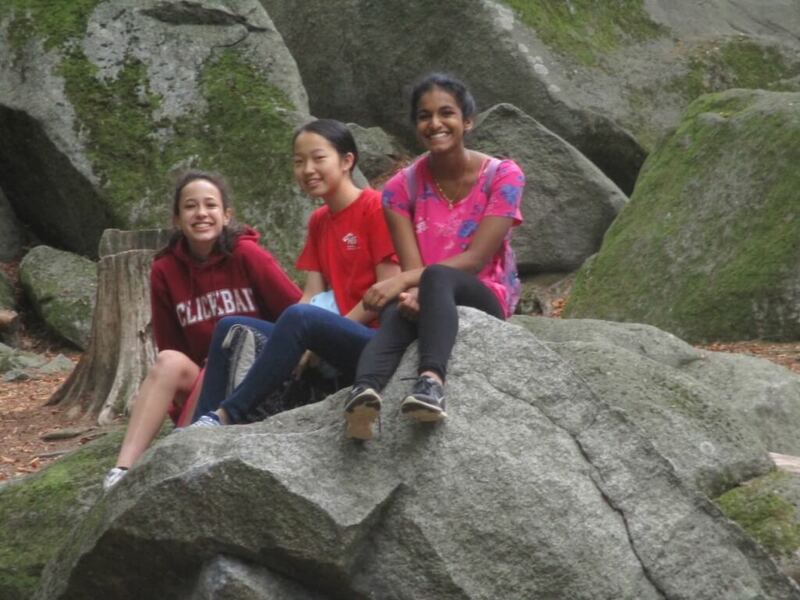 It touched upon the importance of collaborative skills that are vital for every IB student. At the end, I realised how much I actually enjoyed the group four project, and what it really is all about. 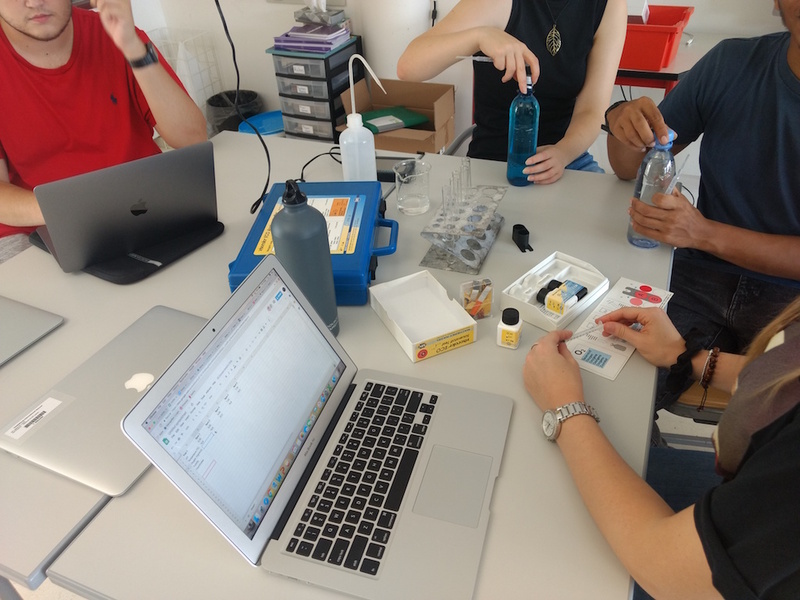 The group 4 project, from my experience, is not solely about learning new things in an academic environment, it is about working together, collaborating with different people, and trying out new things that you would not otherwise have the opportunity for. For the Group 4 Project, my group was doing a citizen science project called EyeWire. We were playing a game, and by playing this game we helped scientists discover new types of neurons. In general, playing the game was fun but became a little boring over time. We didn’t know too much about the science behind EyeWire so we just decided to find out what citizen science is and how people contribute to it. For my group 4 project, I worked on a Citizen Science project to do with Alzheimer’s. In this project, my group had to play a game called Stall Catchers. In this game there are multiple scans of the brain of mice and we had to recognise if the blood vessels are flowing or stalled. Scientists have collected multiple scans of the brain of mice and need help to go through all of them. 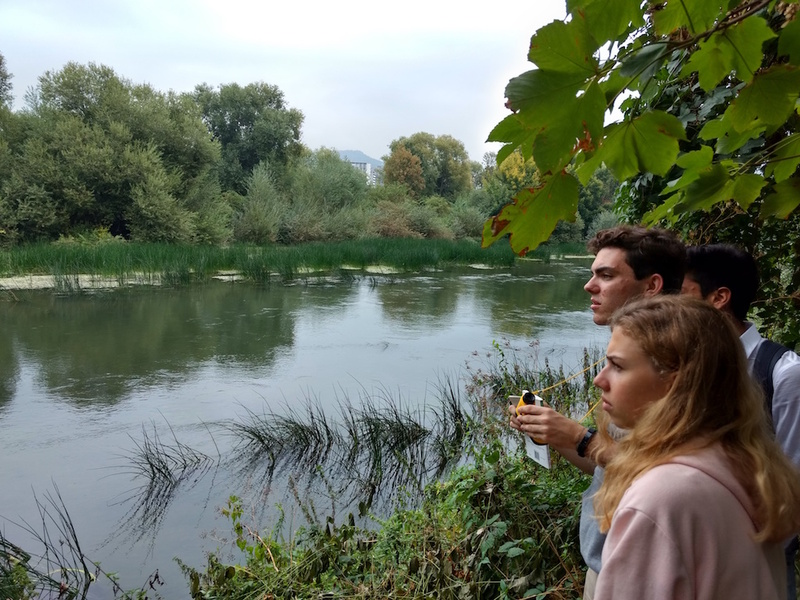 My group collected data about the Neckar River, such as the temperature, oxygen levels, pH and turbidity (how cloudy, or dusty the water is). After conducting the experiments to get the required data, we submitted it to the website. This data is now part of a large bank of information which allows scientists to understand and work towards healthier global water bodies. My group decided to do EarthEcho as our group 4 project because out of all the other options this one we could do a bit of work inside, go outside and collect data, and create a poster. We had to collect water and measure the temperature and the pH of the water. This data helps scientists to figure out how to get a healthier bodies of global water. My group worked on Notes from Nature, which is a project dedicated to digitising labels of insects and plant samples. The database that this information goes into can be used by scientists and researchers to find patterns in the distribution of species around the world, which can lead to better policies for conservation. Together we managed to make 70 transcriptions, this included different insects (including arctic butterflies) and pressed plants. Each transcription does not take very long or require many instructions, so it is very easy for anyone to get involved in this project. 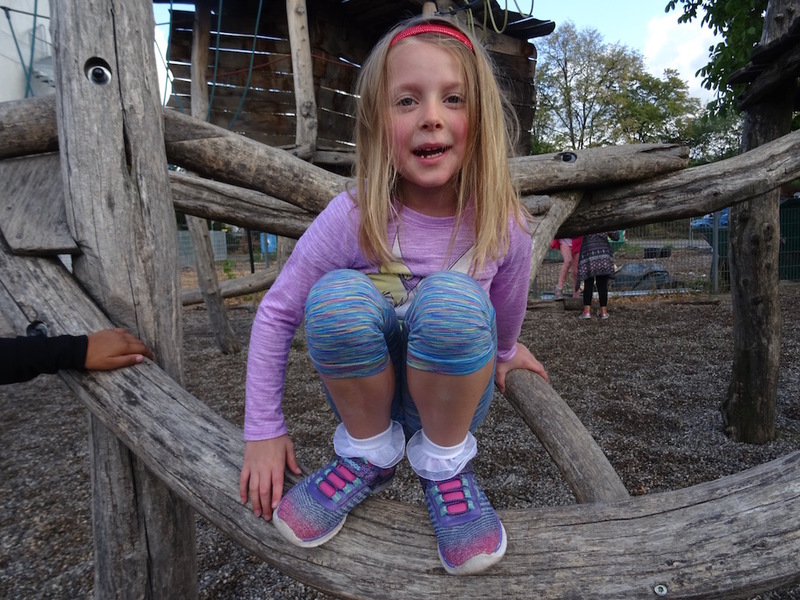 Climbing, balancing, jumping, tumbling, smiling … and quite a lot of posing for the camera! 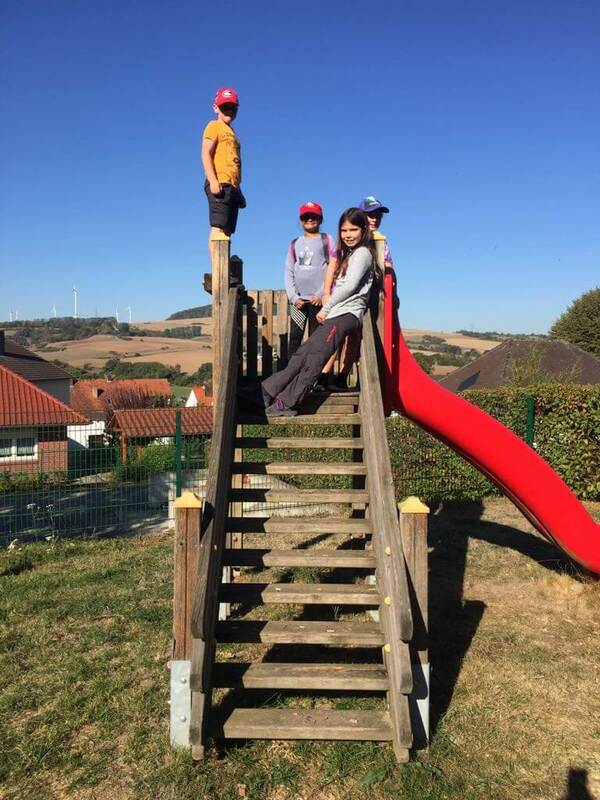 At morning break today, the students were able to explore and enjoy the new playground equipment. Our patience and hard work over the last month were finally rewarded. Thanks to all the members of our community and the Naturspur Team for contributing to this exciting project. 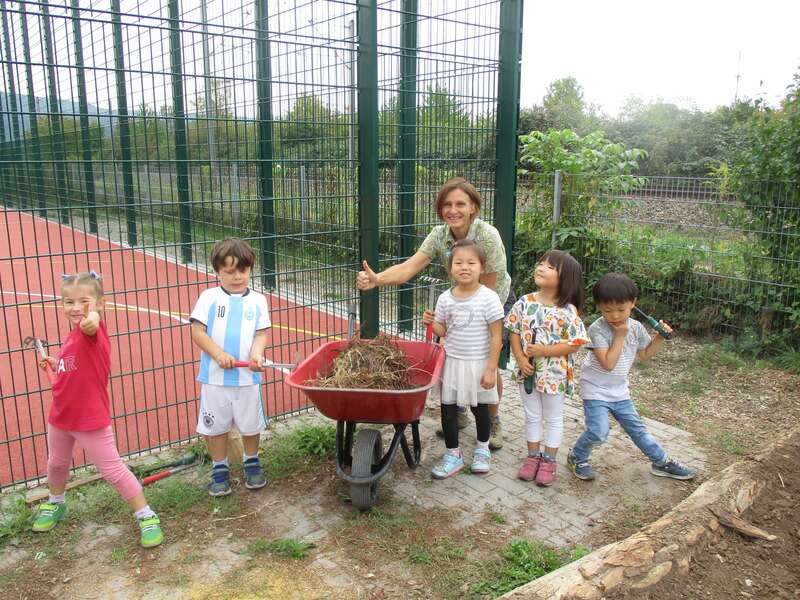 Today, the EP English Support group did a great job preparing the new garden beds for planting. They raked the soil, pulled out bad weeds and moved gravel by sliding down the gravel heap! Well done EP! Comments (0) | | Categories: Making A Difference, We are IB Learners! 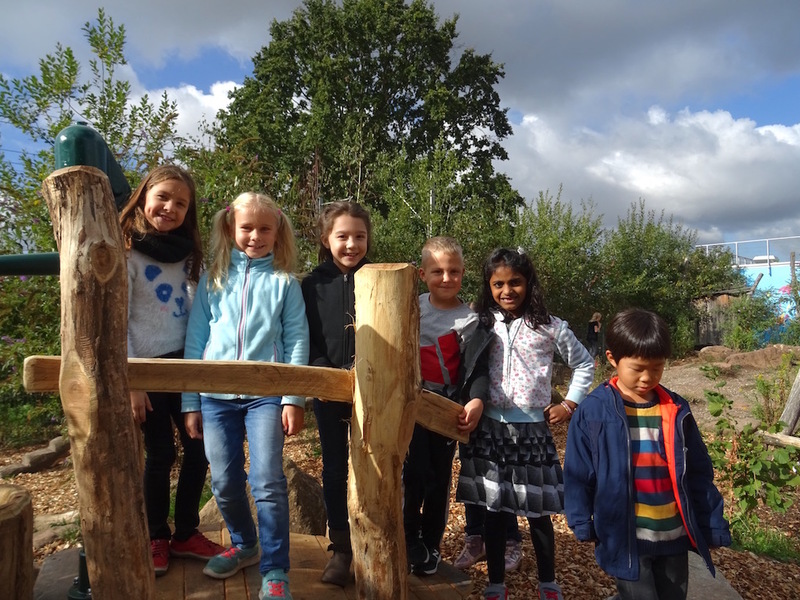 Watch out: Our Grade 4 Trip to Trendelburg was full of fun and new experiences for many. 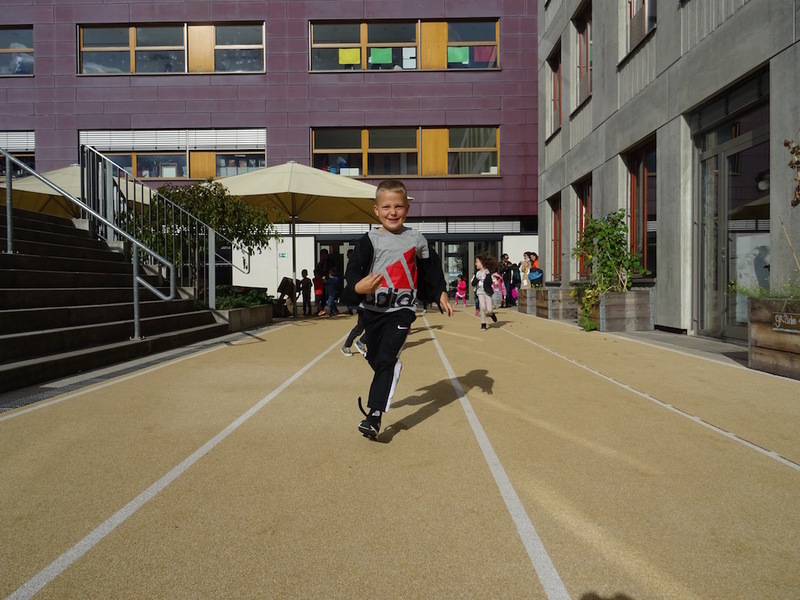 Please click on the link https://www.facebook.com/heidelberginternationalschool and enjoy our slideshow and find out some of the things we tried out. “What?” and “why?”, these were most definitely the initial questions on all of our minds. Why are we undertaking this trip? What is the point of this? The annual DP Exordium was faced with mixed emotions. What some regarded as two nights of our weekends sacrificed, others regarded as an enjoyable event. 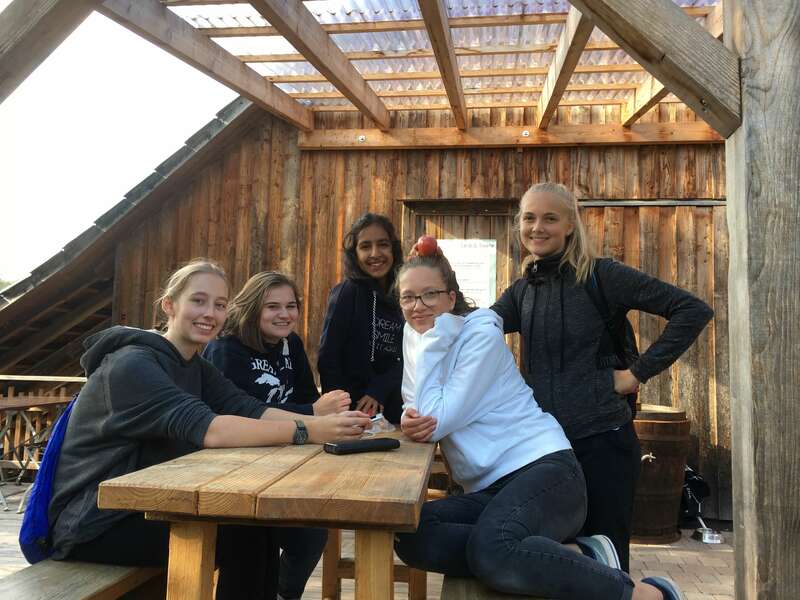 Nonetheless this years trip to the campsite in Zwingenberg, a smaller town located within close proximity of Heidelberg, was an experience involving intricately connected moments of emotion, realization and self-reflection for grade 11 students and teachers alike. Sighs, panting and thuds were frequently audible on the morning of Thursday, which preceded the trip. 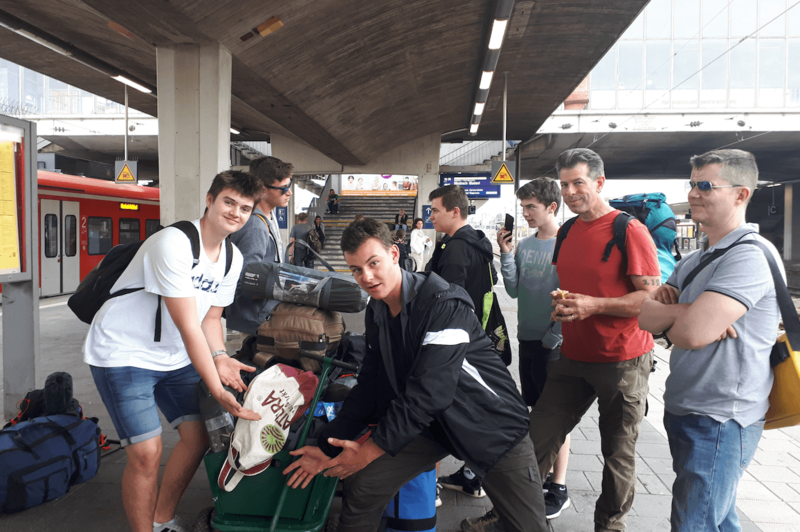 Students were dragging in not only their substantially heavier backpacks filled with their DP textbooks, laptops and other necessary equipment, they were carrying along their camping gear as well. While the majority of our teachers had reassured us that there would be no additional work during our trip, we still had an entire school day to undergo prior to the what would soon known to be a very exhausting trip. Relatively few seemed concerned about not being able to study, review or complete work for the following week, which showed that time management, self organization and maturity were greatly developed over the summer. 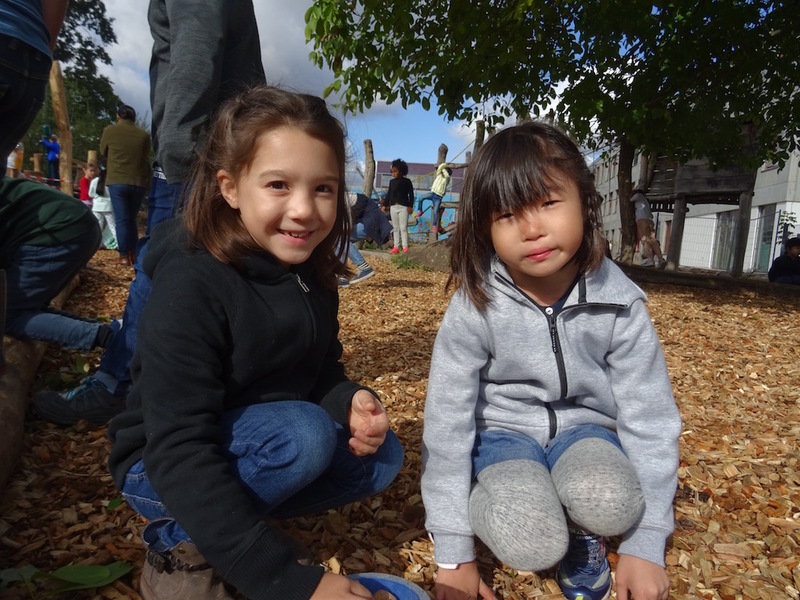 Despite the greatly increased amount of items that had accumulated, students had still managed to divide their gear up effectively between the basement storage area and the area underneath the benches. 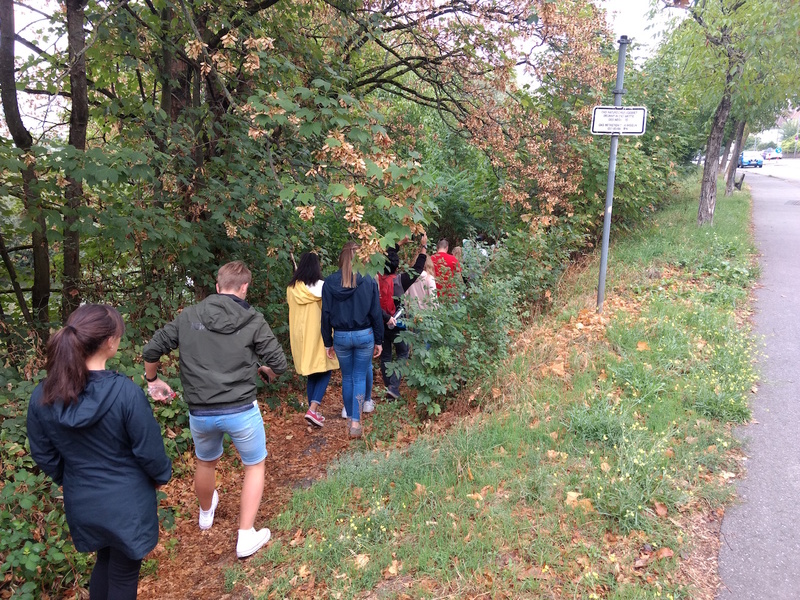 After the school day, a small group of students, joined by teachers, set off to the Kaufland to acquire the food items agreed upon during the class survey. The remaining students waited patiently alongside the mountain of baggage we had clustered together. Unfortunately the jejune suggestions made by fellow classmates of predominantly meats, were not particularly helpful. However thanks to the quick thinking of the provisions-team more necessary items were acquired. Interestingly such items e.g. candies, cookies, or even condiments, which were initially not mentioned or wanted, were the first to be devoured. While the great ideas of our provisions team were helpful during on the campsite, they did unfortunately caused us to miss the first scheduled train and wait another 30 minutes for the next. Fortunately the train ride we had taken to get to our destination was comfortably short, 33 minutes to be precise. 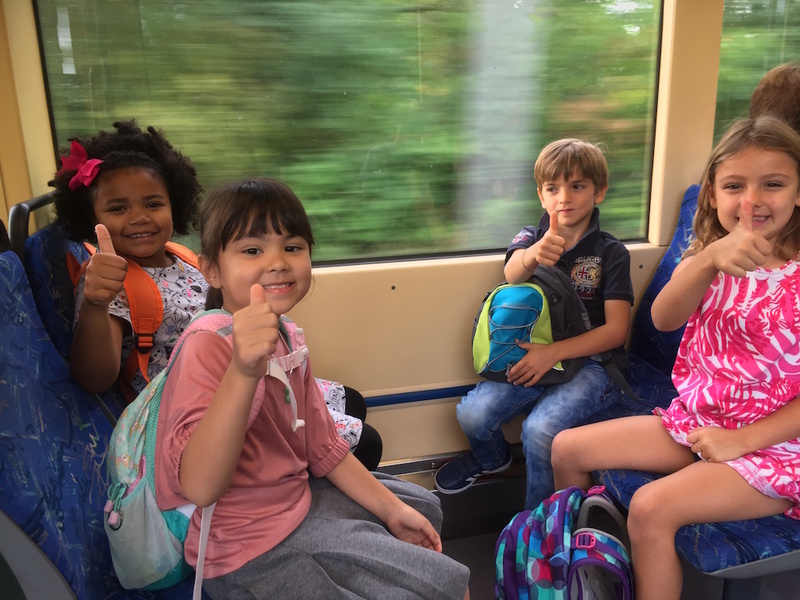 However the short duration was filled with echos of respectful apologies on the behalf of students bumping into other passengers with their camping gear. Following our short train ride, was equally short hike to the campsite. Many underestimated the time that had been estimated for the completion of the mini hike. What the hike lacked in time, it more than made up for in difficulty, due to the additional weights we were dragging along with us. Once we reached the campsite, everyone was extremely relieved to drop their baggage to the ground, stand up straight and stretch out backs that were forced into uncomfortable positions by the burdensome baggage. After registration students divided up into smaller groups, while being considerate of the new students and making efforts to integrate such, contributing to an overall positive and welcoming atmosphere. Fortunately this atmosphere provided a balance for the tensions that were created during the struggles of setting up tents. Despite missing rods or lopsided tent covers, everyone managed to set up a shelter for the night. What followed this was dinner. The barbecue was most definitely a success, everyone appeared to enjoy themselves, as well as the food. Interesting conversations were held and new friendships began to bloom. With the sun setting and flames of the fire reducing to embers, students and teachers returned to their tents and quickly drifted off to sleep after our first strenuous day. The following morning was met with disappointment, as it had rained the previous night and therefore any clothing items or baggage left outside the tents had been soaked and very cold. The plan for the day had been to have breakfast at 07:30 and be packed and ready by 08:15 to catch the train taking us to the docks where our canoes would have been waiting. Due to a few complications and overall tiredness we were late, however that was quickly resolved and we were off to canoeing. There appeared to be a generally positive outlook onto the canoeing, prior to the realization that settled in much later, that we would be stuck on a canoe with two other people, for five hours whilst making repetitive, continuous and very tiring motions with our paddles. 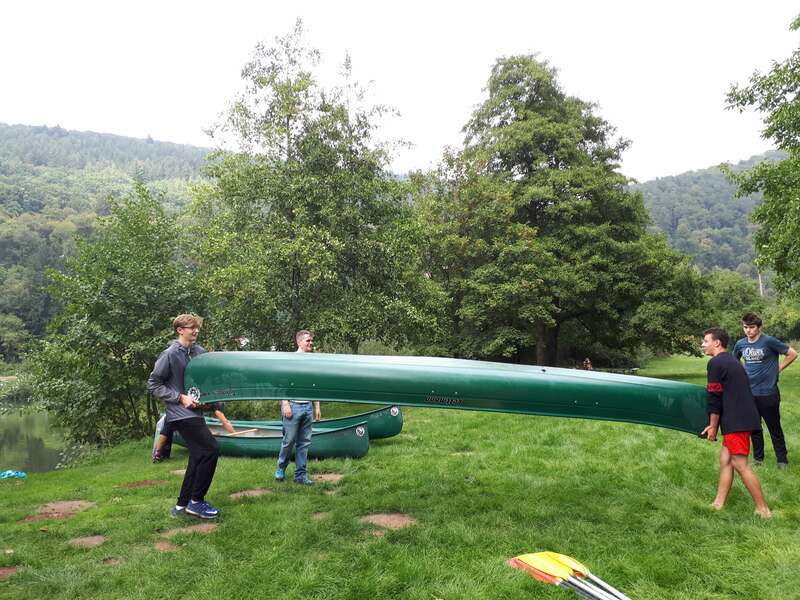 Once again students divided up into smaller groups, pushed the canoes out into the water and were “setting sail”. The first hour out on the river was relatively enjoyable. People made conversation with classmates they would have perhaps prior to this trip not spent as much time with before. It was very interesting to discover others that shared hobbies, interests, similar experiences or even worries. It was both unsettling and comforting to truly realize that the people around oneself were those that would be accompanying you through this critical “final pre stage”, preceding the following “real world”, which is to be faced alone. Nevertheless, five hours into swatting at the river water, canoe linking for what was hoped to be a more efficient way of traveling, as well as hundreds of river-water battles, we had finally reached home – the campsite. 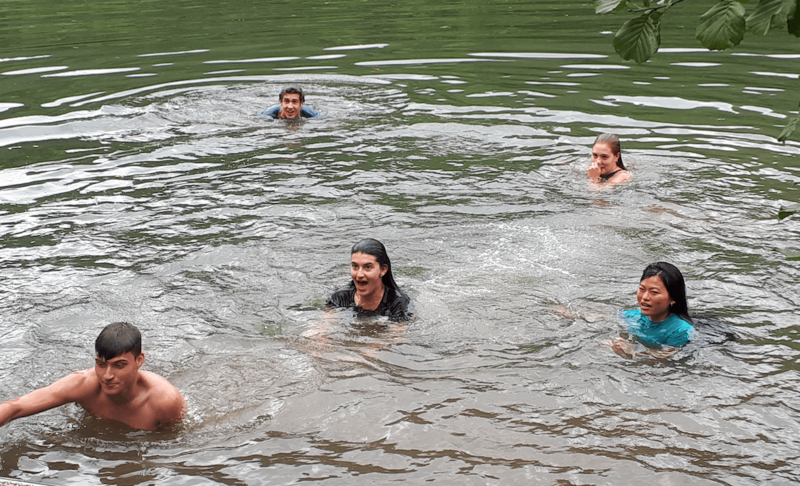 While most of us were looking forward to crawling back into the comfort of our sleeping bags, a few brave individuals hopped into the river again for a quick swim. The final morning was significantly colder than our previous morning, which reflected a common mood many of us shared. Some were relieved to finally go home, others were wishing the trip would not end so soon. Once more sighs, panting and thuds were frequently audible, however this time it was due to the difficult puzzle of putting apart the tents and repackaging them into their original containers. While it was quite challenging, it did offer an additional moment of teamwork. Following the packing up of the tents and further belongings, as well as gathering and correct disposal of waste we headed towards the area where a bus would pick us up to bring us to the Kletterwald. At the Kletterwald we had a welcoming introduction on behalf of the staff. 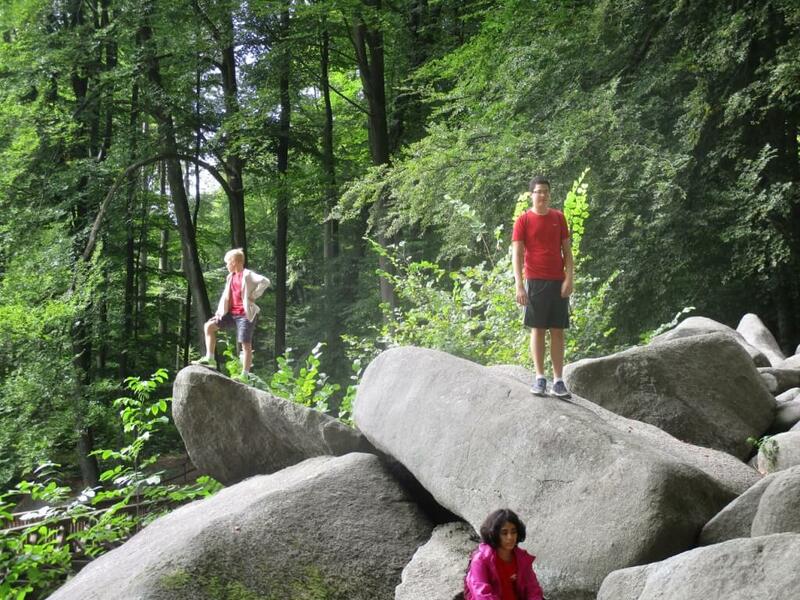 Soon afterwards we were divided into groups based on proficiency in German language. This once again produced student combinations which some would have most likely never truly considered before for work purposes. 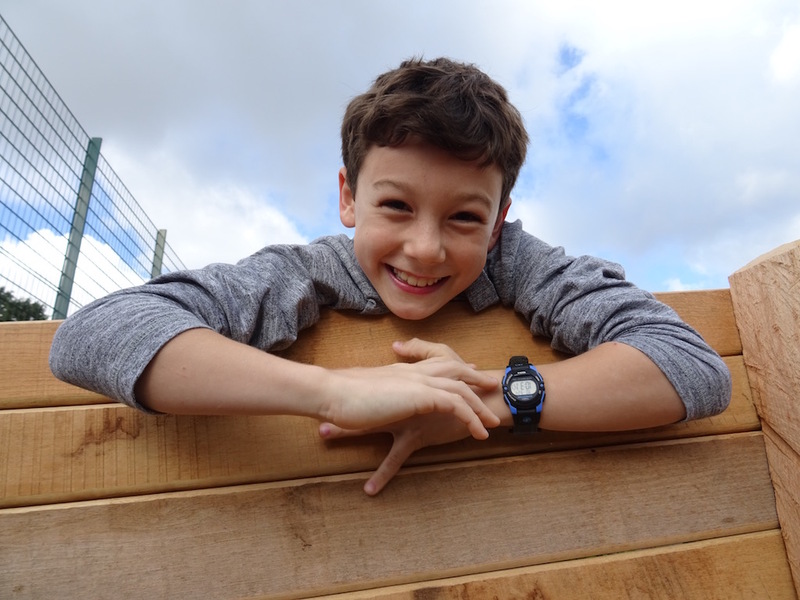 Initially (in the group I was in at least), there was great hesitation to working together. However after our instructor had informed us that we would be starting over as many times as necessary until we would learn to work together, we quickly unified and accomplished the task successfully. 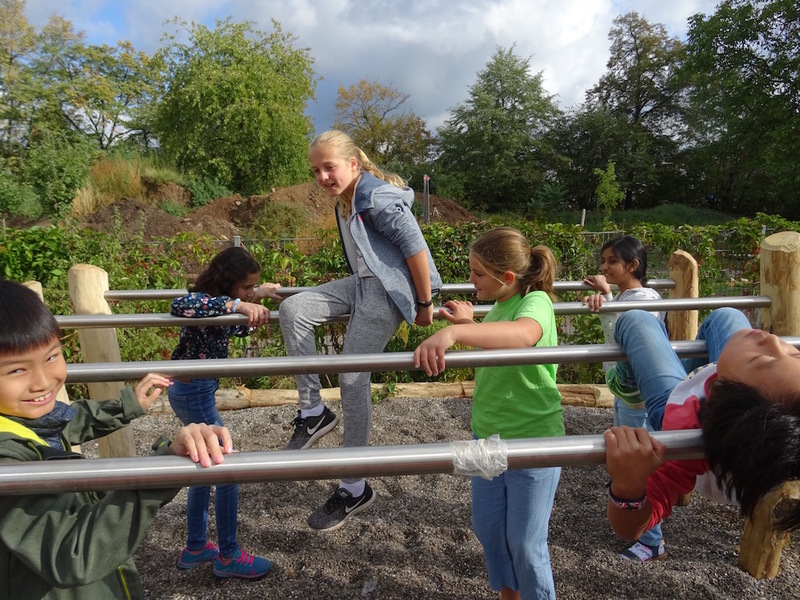 Further team building and trust forming activities were relatively enjoyable, yet it can be said with certainty that the activity looked forward to the most was the individual climbing activity and the jump from the 10m pole (naturally with the necessary security measures). Overall this years trip once again allowed students to truly test their abilities, challenge themselves, discover new things not only about themselves but perhaps about one or the other student or teacher, and take a moment to relax and enjoy life, which is something that may be more of a luxury during the next two years. Good luck everyone! Here’s to a solid start to the IB Diploma Program! 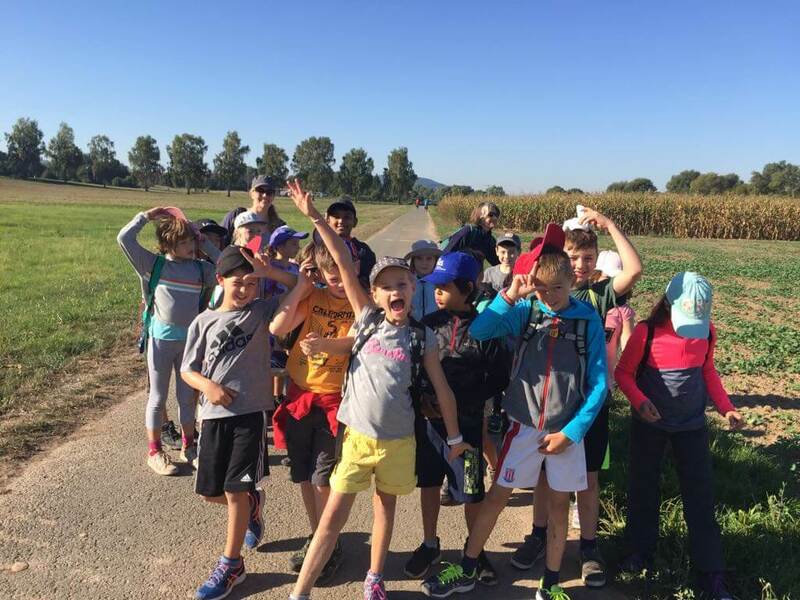 Grade 4 are having a blast! We went on a beautiful bike ride yesterday and enjoyed the views. 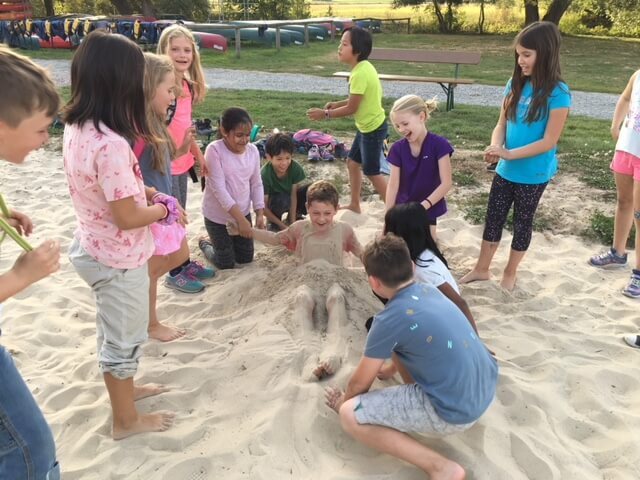 Then relaxed with some volleyball or rather sand burying before a delicious dinner and bedtime story! We went on a walk to the small town of Trendelburg where we climbed up the Rapunzel Tower and enjoyed ice cream in the sunshine! 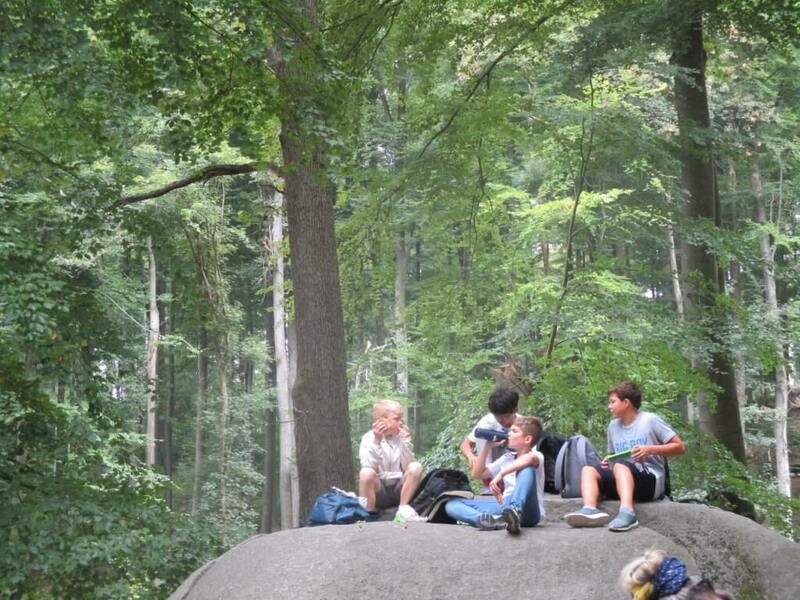 MYP students climbed up and through the Felsenmeer challenging themselves physically and enjoying the natural surrounding scenery last Friday. There were 3 teams (Black, White and Red). 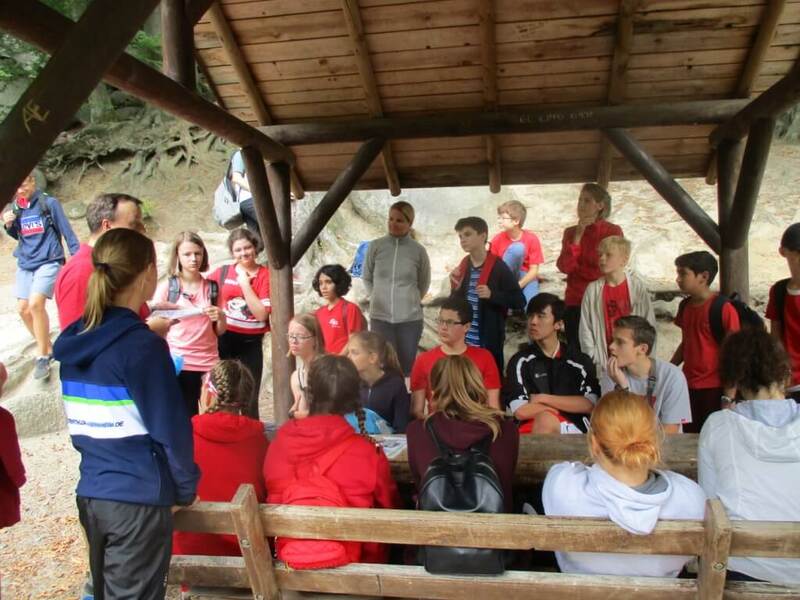 Once at the top students within their teams were split into small groups of 4-5 people and they took part in a Rally where they had to find out specific items to learn some things about the Felsenmeer. Students also took part in some more team building activities at the end. Everyone had a great day and some students have said they will go back with their families.